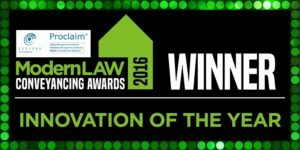 Lawyer Checker are delighted to announce we have won the ‘Innovation of the Year’ award at the Modern Law Conveyancing Awards 2016. Broken new ground in the delivery of services to clients. Presented by comedian Fred MacAulay, the event was held at The Rum Warehouse in Liverpool. The inaugural conveyancing awards, hosted by Modern Law, had an exceptionally impressive turnout. Managing director, Chris Harris was also honoured on the night picking up the ‘Lifetime Achievement’ award. So how does Lawyer Checker innovate? By assisting firms through the use of the Account & Entity Screen, as well as the recently launched Consumer Bank Account Checker. The Account & Entity Screen checks the account number provided from the purchase conveyancer and ensures the recipient firm is legitimate. The system is then able to convey evidence from over 10 database searches on any particular entity within conveyancing, as well as searching against individual conveyancers. 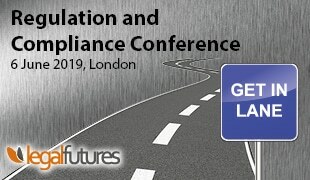 Lawyer Checker highlighted the scale of fraudulent transactions that were taking place within the conveyancing sector at the outset of its inception. Fast forward to 2016, the team have become thought leaders and Conveyancing Association Affiliate Members. We boast an award-winning Account & Entity Screen product, whilst the newly launched Consumer Bank Account Checker helps firms safeguard against fraud when remitting and checking source of funds.